But armed conflict and chaos are making it tough for the world to wipe out the virus completely. Polio has emerged in Syria after more than a decade. In the Horn of Africa, the outbreak’s epicenter is Somalia, where fighting and violence have kept vaccinators from reaching hundreds of thousands of children in the past few years. The outbreak has ballooned into more than 190 cases. 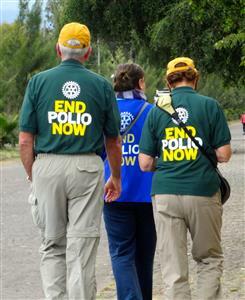 Polio infections in Somalia have already spread to Kenya, South Sudan and Ethiopia. Ethiopian officials acknowledge that it’s impossible to completely control the flow of people between Somalia and Ethiopia, but in an effort to limit the importation of polio, Ethiopia has set up 13 vaccination checkpoints at major crossings. The health bureau has also deployed vaccinators to nearly 40 points of crossing along the border. The goal of these posts is to immunize every child under the age of 15 who crosses. In addition to immunizing children crossing the border, the country schedules National Immunization Days during which teams go to villages in all parts of the country to immunize all children under the age of 5 to keep the virus from spreading. 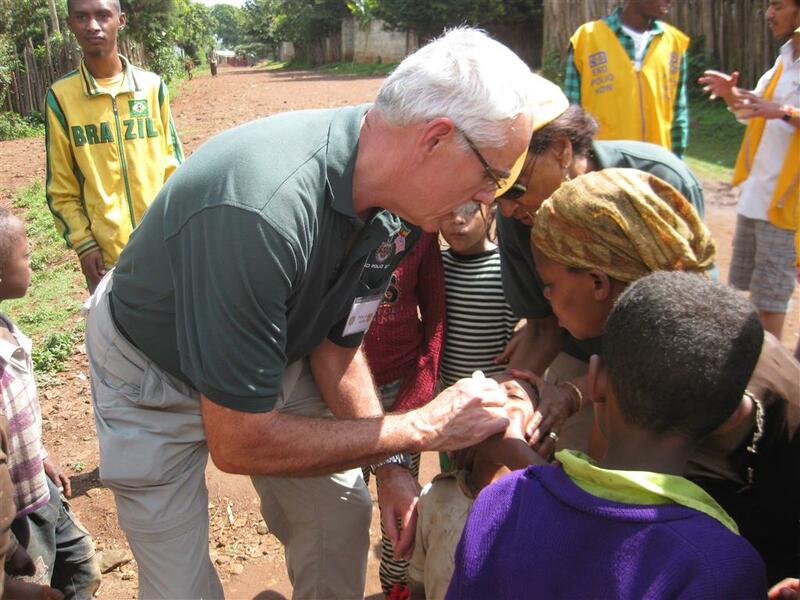 Mary and Jeff were part of an immunization team in the town of Hawassa, south of the capital Addis Ababa. For two days the team, along with local health workers, administered vaccine to all children under the age of 5, going house to house to find as many children as possible. If you would like to hear more about the trip and Rotary’s part in eliminating this awful disease, or have a program presented to your organization, please contact Mary at marymsloan@comcast.net. Don’t forget, as long as polio exists anywhere in the world, it is only a plane ride away.